Max Whittaker / Getty ImagesTesla CEO Elon Musk said an employee committed sabotage against the company in an email sent to employees on Monday. Tesla has filed a lawsuit against the employee CEO Elon Musk said committed sabotage against the company, Bloomberg first reported. On Monday, Musk said an employee had changed parts of Tesla‘s manufacturing operating system code and sent “highly sensitive” company data to outside parties, according to an internal email acquired by CNBC. According to the lawsuit, Tripp joined Tesla in October and was assigned to a new role a few months into his tenure. The lawsuit claims Tripp was unhappy with the reassignment and, as a result, sent confidential company information to third parties and made false claims about the company. The lawsuit also claims Tripp installed hacking software on the computers of three colleagues that would continue to export company data after he left the company while making it appear as if his colleagues had chosen to send the data to third parties. Tesla declined to comment on the lawsuit. On Monday, Musk said an employee had changed parts of the company’s manufacturing operating system code and sent “highly sensitive” company data to outside parties, according to an internal email acquired by CNBC. It has not been determined if the employee acted alone or with other parties, Musk said. 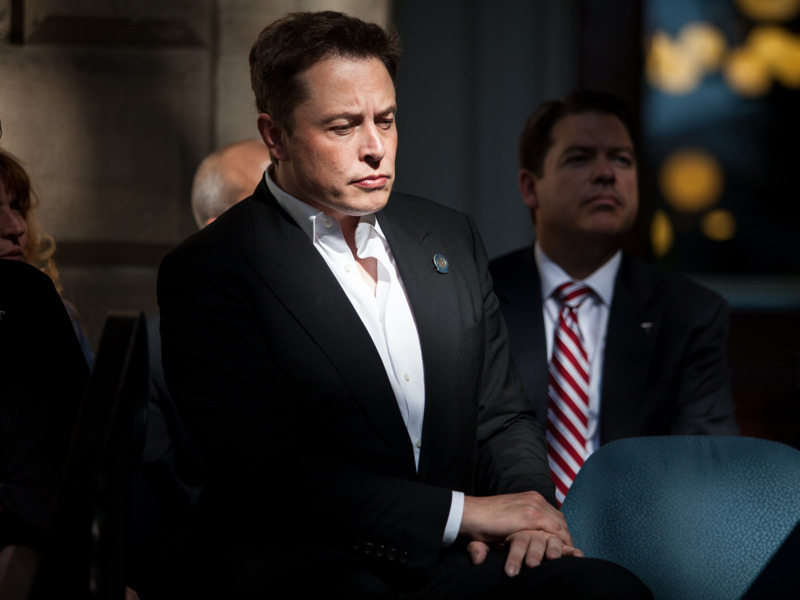 Musk said that companies and people who don’t want Tesla to succeed – like short-sellers, oil and gas companies, and competing automakers – could potentially seek to harm the company. Tesla declined a request for comment on the email. You can read the full email Musk sent to Tesla employees on Sunday night below. However, there may be considerably more to this situation than meets the eye, so the investigation will continue in depth this week. We need to figure out if he was acting alone or with others at Tesla and if he was working with any outside organisations. As you know, there are a long list of organisations that want Tesla to die. These include Wall Street short-sellers, who have already lost billions of dollars and stand to lose a lot more. Then there are the oil & gas companies, the wealthiest industry in the world – they don’t love the idea of Tesla advancing the progress of solar power & electric cars. Don’t want to blow your mind, but rumour has it that those companies are sometimes not super nice. Then there are the multitude of big gas/diesel car company competitors. If they’re willing to cheat so much about emissions, maybe they’re willing to cheat in other ways? If you know of, see or suspect anything suspicious, please send a note to [email protected] with as much info as possible. This can be done in your name, which will be kept confidential, or completely anonymously.